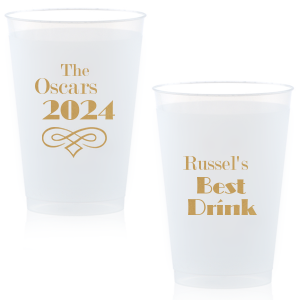 Design custom 12 oz frosted plastic cups, also called frost flex cups, for a unique plastic cup sure to delight at any party. 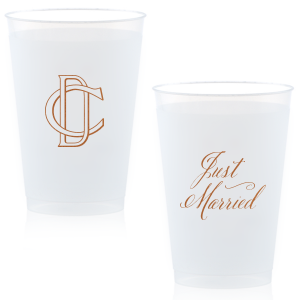 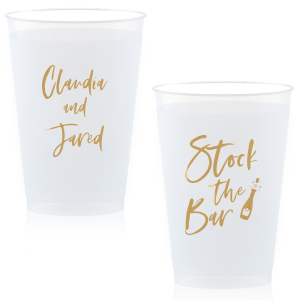 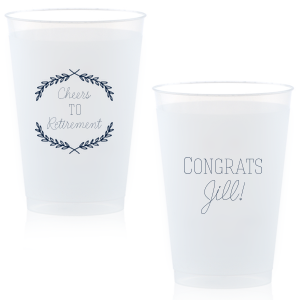 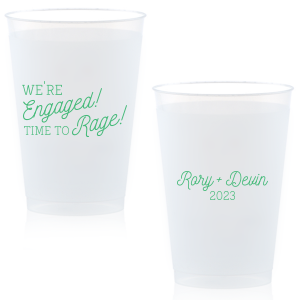 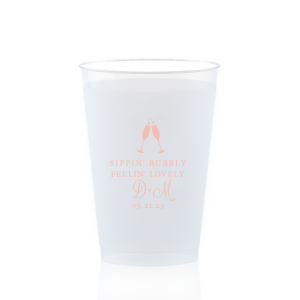 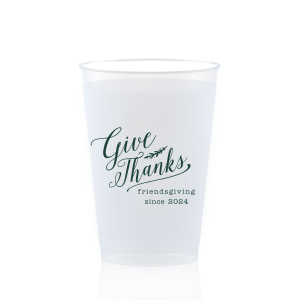 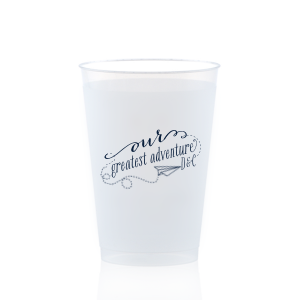 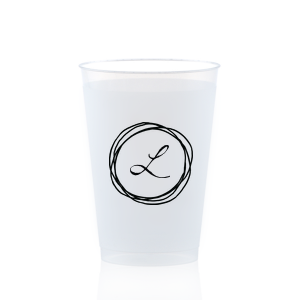 Serve mixed drinks or water in 12 oz frosted cups. 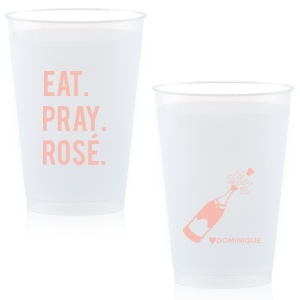 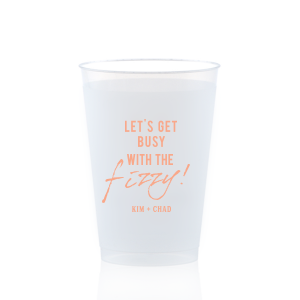 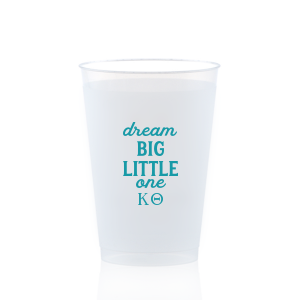 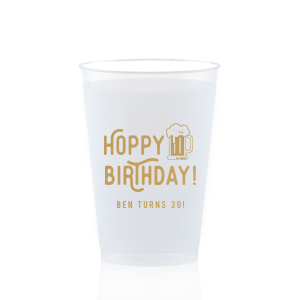 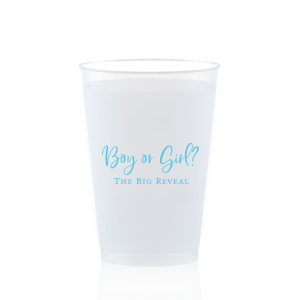 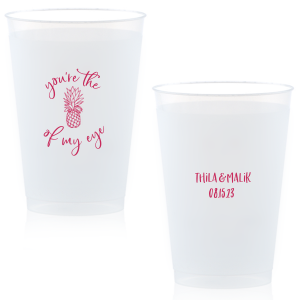 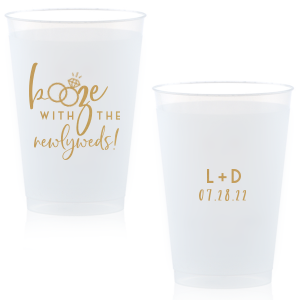 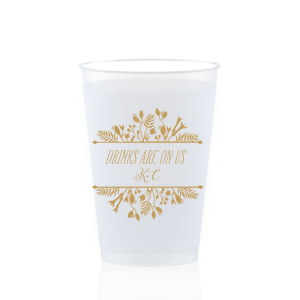 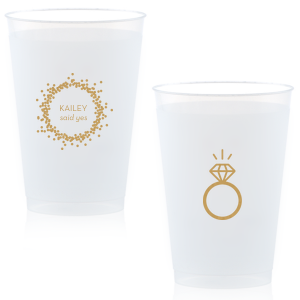 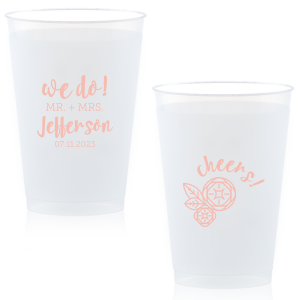 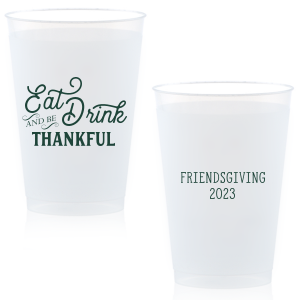 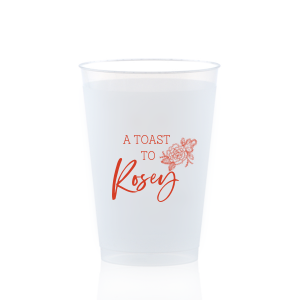 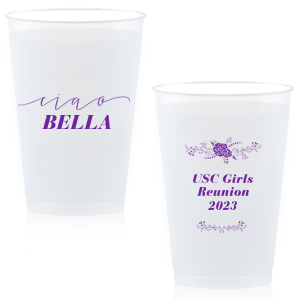 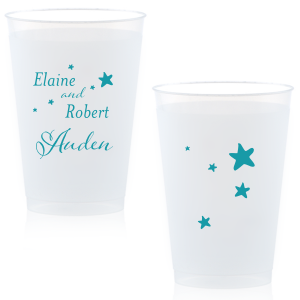 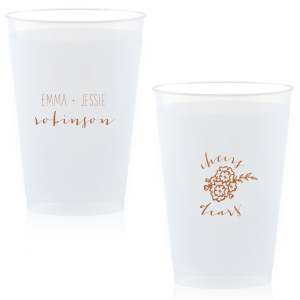 Personalize one of our designer-made looks, customize more to choose your own graphics and fonts or upload your own art for a custom plastic cup all your own.